AUSTIN, Texas — Austin police say they have responded to at least 370 calls reporting suspicious packages but found nothing dangerous in the wake of three package bombs that killed two people and wounded two others. Investigators continue to search for possible connections between the three bombings. The Austin Police Department said in a tweet that, as of Wednesday morning, an additional 108 suspicious package calls had been received — increasing the total to 370. Police continue to urge anyone receiving unexpected packages to call 911 without handling or attempting to open them. Families of two people killed by package bombs left on their doorsteps in Austin knew each other and were connected through local activism in the black community, a civic leader said Tuesday. Austin Police Chief Brian Manley said he was aware of the connection but did not know if would affect the case. It was not clear whether they might be tied in any way to a third household where a package bomb also exploded Monday, severely injuring a 75-year-old Hispanic woman. No arrests have been made. A combined $65,000 reward is being offered for information that leads to an arrest. 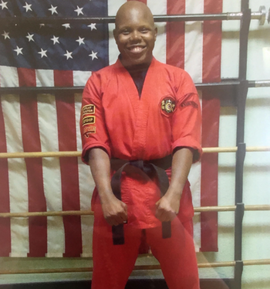 Moses Williams, a family friend of the Masons, told CBS affiliate KEYE Draylen Mason was multi-level black belt and became a teacher at the martial arts studio in Pflugerville where Moses is grandmaster. He said Draylen was also a talented musician. His mother, who was also injured in the blast, remains hospitalized. She has no other children, Williams told the station. A spokesperson for the University of Texas at Austin confirmed Draylen had just accepted as a music performance student into the competitive Butler School of Music in UT’s College of Fine Arts. “Draylen didn’t deserve to die like that when he had his whole life ahead of him,” Williams said.